While it can be exciting that there are so many apps and websites for learning content, it can also be daunting and overwhelming to busy teachers. Fortunately there has been a wave of new websites that help teachers locate apps to meet their curricular needs. Two of them include CommonSenseMedia has just launched Graphite and EdSurge. Both of these databases can be searched along the lines of theme, age, standards, and content (amongst other options). These resources are much better than going to iTunes and typing in a generic topic. However, once we are able to narrow down to a few options to use in their classroom, they need to do some evaluating of these sites for themselves. No site or app is perfect for all classrooms, so we need to make sure the resources they select are personalized well enough to suit their classroom needs. Thus it is important that we understand how to thoroughly evaluate the effectiveness of an app or resource to meet their classroom needs. Below are some of the criteria that we should be considering when bringing an app or website into their classroom for learning. The connection to the classroom learning goals or curriculum is vital. Just because an app looks fun or is immediately engaging, does not mean that it will meet the needs of the teacher’s classroom learning goals. · Does the app or website provide opportunities to directly meet your learning goals? Is it indirect? One of the concerns with using apps and websites is that the resource will be too difficult for some learners while not challenging enough for others. 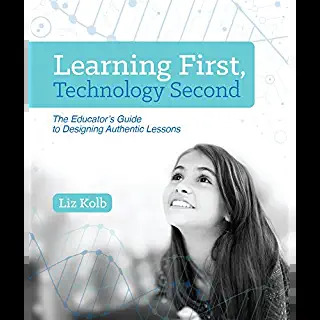 Some software will allow for adjustment (or at least allow the teacher to opt out of using certain advanced features) so that the software can meet their students at their zone of proximal development (where they learn best---challenged just enough). Other pieces of software claim they will assess the student’s individually and place the student’s at their appropriate developmental level, when in fact the assessment does not seem to do this very well. · Does the software assess the students’ learning and can appropriately place the student into levels that meet their learning needs? · Does the software allow the teacher to turn on and off features for the students? · Does the software allow students to make different “leveled” choices? We should consider if the software is focusing on “skill and drill” flashcard approaches or if the software is allowing students to be creative and innovative and develop ideas or problem-solve with critical thinking skills. While the latter is higher on bloom’s taxonomy, there are times where teacher’s may want some reinforcement of learning ideas. We should know the type of skills they want their student’s to work on going into selecting the software. · Does the software allow students to Remember and/or Understand information learned? · Does the software help students Apply their knowledge? · Does the software give students an opportunity to Create, Analyze or Synthesize information? We should have a sense if they want student’s working together in the resource or if they would prefer individual work. · Are there opportunities for collaboration? · If collaborative, do the collaborative opportunities allow students to create knowledge together or simply comment on each other’s work? While not all apps or software are focused on self-awareness, it is helpful if there are elements where students’ can develop a sense of self-confidence and awareness. · Are students given opportunities to develop a strong sense of self? · Are students given opportunities to develop empathy and emotional connections with others that are safe, kind and positive? While we may be focused on the learning goals, keep in mind that we should also consider the technology skills needed as well as being learned by using the software. · What technology skills (NETS-S) will the students need to participate in this software? · What technology skills (NETS-S) will they develop by participating in this software? While many digital resources are targeted at children, not all of them (even ones that say they are for education) consider ethical or safety issues. We should think about the age of the children and if the software may push the boundaries of what is safe and appropriate. · Are there reminders to the students about posting and privacy online when prompted to post something? · Are there opportunities for collaboration that are moderated? · Are there safe guards for privacy? · Are there invitations for parents to participate? Since students learn at different paces as well as through different modes of representation (especially if you are teaching with a UDL approach), it is important to look at the different ways that students could use the software to show their work and learn new ideas. · Does the software allow students to self-pace through “levels” or be challenged in new ways as they progress? For example, can the student begin with a simple photo slide show but then move on to adding narration, text, music and hyperlinks as they progress? · Are there scaffolds in place so that the student can get help as needed but also progress at their own pace? · Are there multiple forms for representation for the content? It is important that the students are motivated and focused when using the resource. · Does the software draw students into the learning environment in a fun and motivating way? · Does the resource help students to focus on their learning? Motivation is not enough reason to use a tool, ultimately engagement fades if there is not another purpose to using a digital tool. The tool must somehow enhance the learning experience. · Does the software allow students to learn or participate in something that they could not without the software? · How does this software enhance the students learning experience, where they are learning more or differently with the aid of this software? It is important that students receive a response or feedback on their work as they progress. · Does the software provide feedback as the student tries to progress to new levels or as the student tries to create a project. · Is the feedback immediate? · If there is not feedback, do they know how to find “help”? While there should be some challenge in using the software, once shown how to use the resource, it should be fairly intuitive for their developmental level. If the student has to constantly ask the teacher for help, then the software is probably too difficult for them. · Are navigation options to save, get help, go home obvious and easy to find. · Can the students’ manure around the tool with little to no outside help? A new movement in the STEM world is adding an “A” for the arts (called STEAM). We should look for opportunities that allow students to be creative or customize the resource. · Can the teacher customize a personal learning path for students? · Are there opportunities for students to be creative? 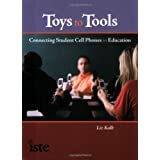 · Can the students make choices in the tool in how they show their understandings? 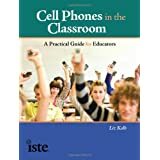 If the students had to bring their own devices or use this software at home, we should look at how many different ways the resource could be accessed. 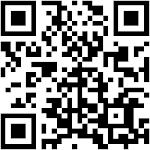 · Can the tool be accessed from multiple platforms such as iPad, laptop, Nook, Smartphone? While we all prefer great resources that are free, it is important to remember that sometimes it might be best to pay for something that could create a quality learning experience for the students. · Is the cost reasonable for the amount of use? 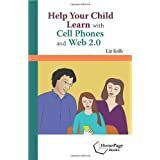 · Is there are free version that could be used and get the same learning results? Does the software collect data in some form from the student. · Does the software will collect usage data (how and when), as well as the individual progress of the student? Does the Analytics allow opportunities for the teacher to modify the student's learning path? Resource updates can be significant since curriculum is often changing. It is important that the software is staying up to date on the latest educational and societal changes. There is also a better chance that the software will be less “glitchy” if it is updated often. · When was the software last updated? In this day and age it is rare to find classrooms that do not have students who are English language learners (ELLs) or students who speak more than one language. By using resources with multiple language options, we may be creating a more optimal learning environment for all students. · Can the software be used with more than one language? Keep in mind this can be helpful for parents of ELL’s who may want to help their child but they do not speak English as well as their native language. Unfortunately equity is often an overlooked category in most sites for review, but should not be! Digital equity is very real and should be a concern for any K-12 teacher. There are equity issues along gender lines, economic lines, as well as racial/cultural lines. · Is there a gender bias (such as only a male narrator or gives females a stereotypical role as the less intelligent one). · Does there seem to be a bias towards one racial group? · Do you see any glaring stereotypes that you do not want to reinforce? Using students’ everyday culture in the classroom can be a bridge to help the home to school connection. · Does the software provide a way for students to connect with their everyday cultural background? · Can the student bring in their personal norms and folkways into the learning through the software? For example, the software may allow the student to select the geographic region they live in, select the local dialect, and choose a particular song that has personal meaning to them in doing a geography activity. Does the tool allow for targeted interventions to help modify the learning experience so all students can be successful? · Can the teacher modify the learning path of the students and track their comprehension of the content based on the targeted interventions? I tend to put the categories above in order of most important to them to least important for their particular learning or classroom goals. Then begin to rate and review, the goal being that the app or website best matches most important categories for my classroom.